(Above) Almost wall to wall sunshine today. Snow cover is holding up well but is nevertheless becoming more noticeably patchy. 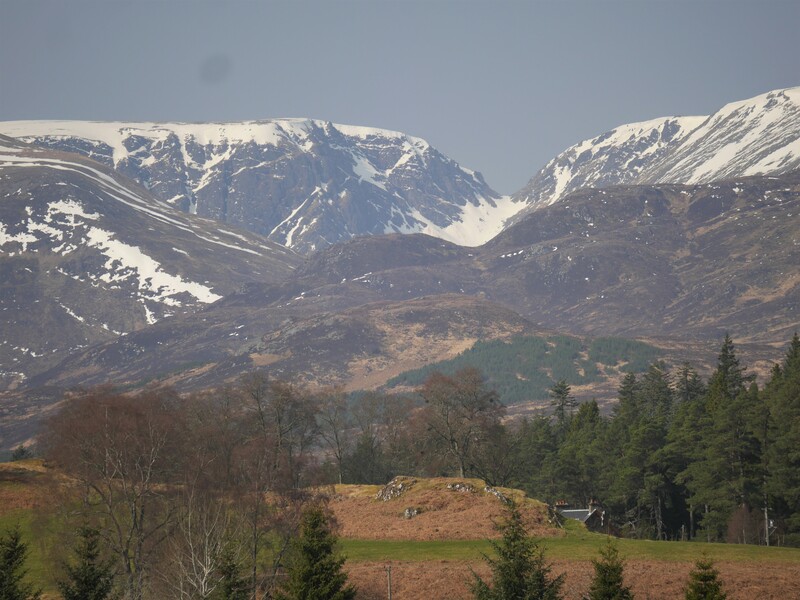 R to L: Coire Dubh, Coire nan Gall and Carn Liath from near Balgowan. 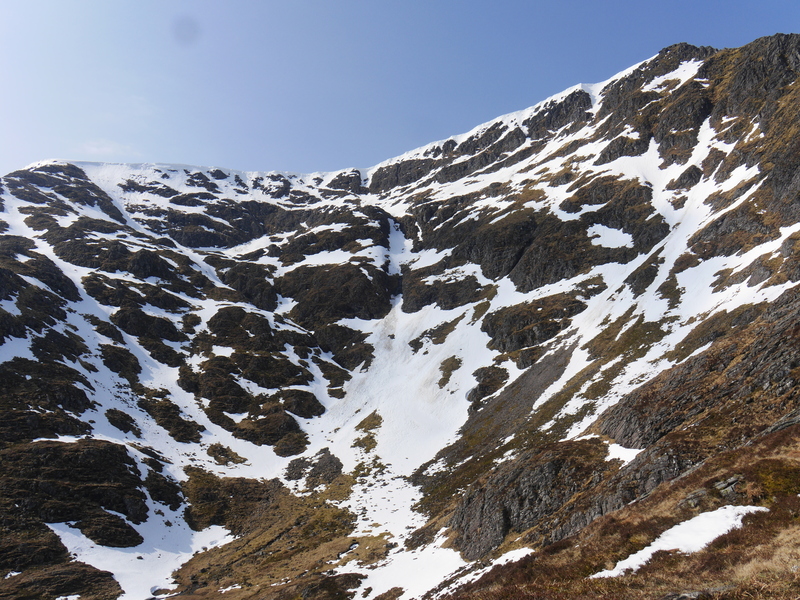 (Above) L to R: Sron a Ghoire, the Post Face of Coire Ardair and Coire nan Gall. Creag Meagaidh summit area (centre far distance) holding good cover, at least on this visible aspect. (Above) The Post Face, and The Window – the well defined bealach right of centre on the skyline. (Above) The well defined coire immediately south of the East Ridge of Beinn a Chaorainn. This East aspect is holding snow down to 700m. Some remnants of old cornice still in place high on the skyline. (Above) The East Ridge of Beinn a Chaorainn. 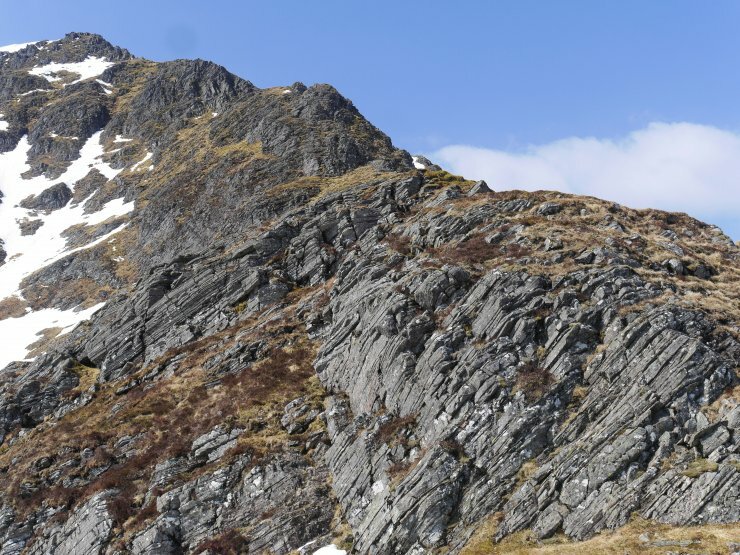 The ridge line is more or less devoid of snow and is a rock scramble at the moment, though there are a few ribbons of snow out of shot on the other side of the ridge. 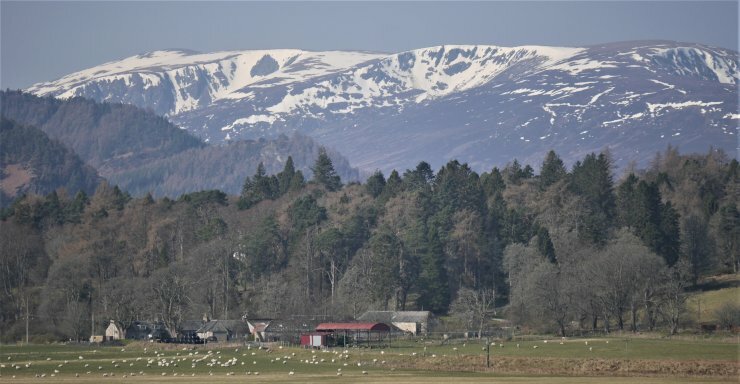 (Above) The view directly east towards Coire nan Laogh and the summit of Creag Meagaidh – left of centre skyline. 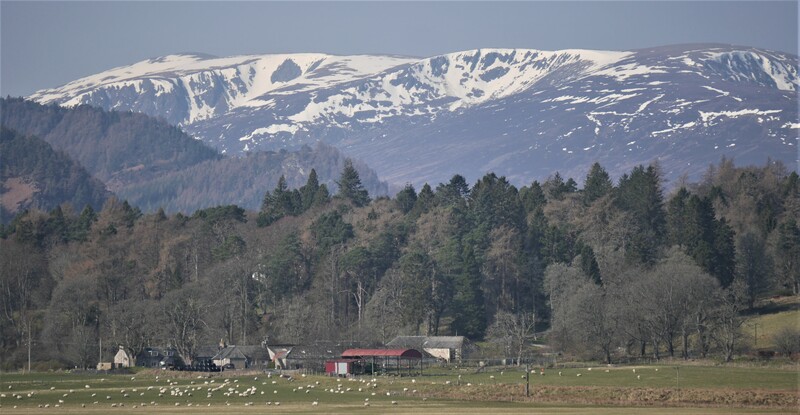 The Moy Wall is holding a narrow ribbon of snow along the right hand skyline.